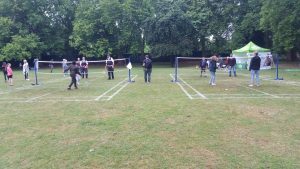 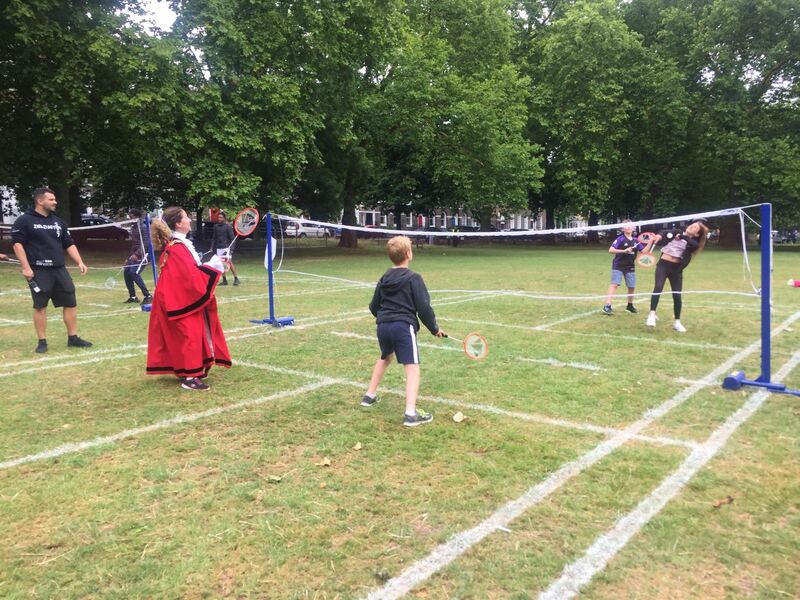 Despite a wet day which saw reduced numbers attending this year’s festival at Highbury Fields on Saturday 22nd July, those who braved the weather were treated to an array of sports, music, dance and other activities. 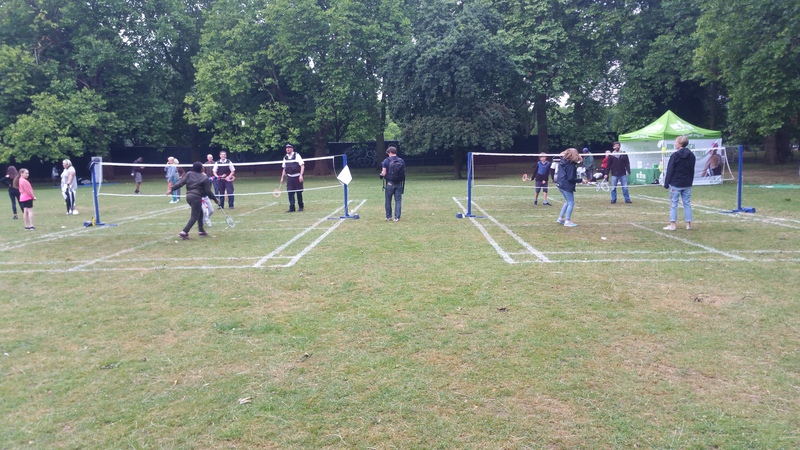 Black Arrows coaches Henry T. Gaspard and Amardeep Panesar were again in attendance encouraging participants to take part in outdoor Badminton, which proved to be one of the more popular activities on the day attracting large numbers of young people and adults alike including the local Police, and Mayor of Islington Una O’ Halloran. Black Arrows work in partnership with a number of local partners in Islington, which includes Sport Islington, Arsenal FC, City University London, Copenhagen Primary school and others in the development of Badminton in the borough. 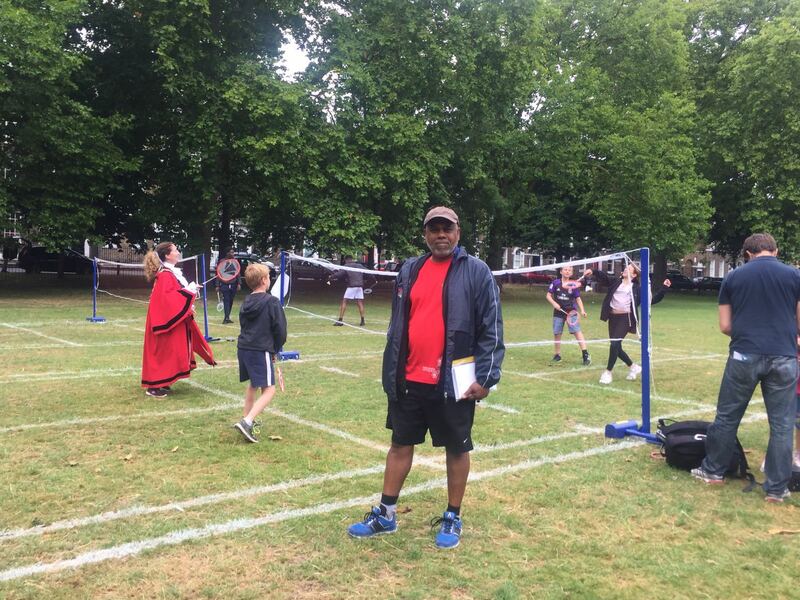 Club founder and chairman Henry says “this event is a great opportunity for Black Arrows to be involved along with a number of local sports providers in helping to showcase the strength of sport in the borough, to promote partnership working and promote our individual sports to attract new members, we look forwards to next years event”.